When Pope Benedict, 85, announced Feb. 11 that his age and declining energies prompted his decision to resign effective Feb. 28, the Vatican said he would move out to the papal villa in Castel Gandolfo while remodeling work was completed on the Mater Ecclesiae Monastery in the Vatican Gardens. Jesuit Father Federico Lombardi, Vatican spokesman, told reporters Feb. 12 he did not know when the remodeling work would be finished and Pope Benedict could move in. He said, however, that because the monastery is small, the pope would be joined by a small staff, but another community of cloistered sisters would not be moving in. The monastery — a building of about 4,300 square feet — had 12 monastic cells and a chapel. The complex, mostly hidden from view by a high fence and hedges, includes a vegetable garden. It occupies about 8,600 square feet on a hill to the west of the apse of St. Peter’s Basilica. Over the past 19 years, different orders of cloistered nuns have spent fixed terms of three to five years in the monastery. The first community was the Poor Clares, then Carmelites, Benedictines and, most recently, Visitandine nuns. 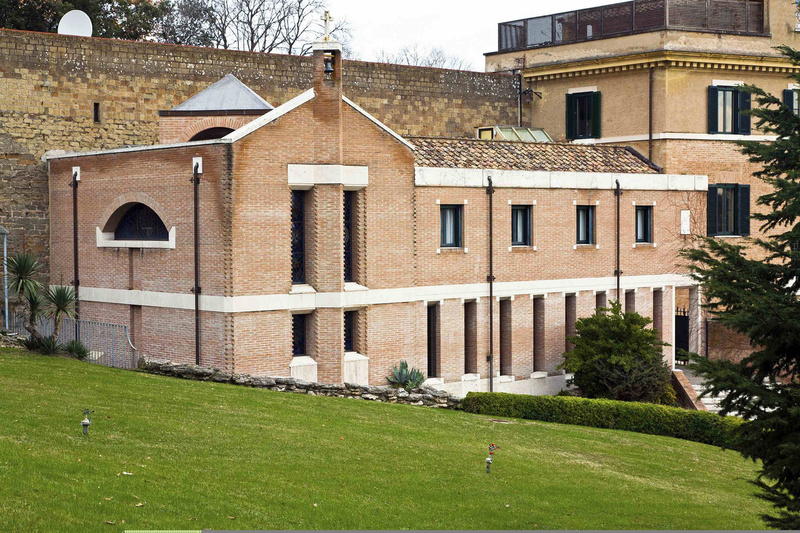 The Visitandine community left in November, and by early December the Vatican press office had told Catholic News Service that the monastery would be remodeled before anyone else moved in. While contemplative nuns generally enter a monastery with the intention of remaining at that convent for life, Blessed John Paul set up a rotation system for the Vatican monastery to honor and highlight the variety of women’s religious orders dedicated totally to prayer and manual labor. A small core of the current building began its life as the gardener’s house and included some ruins of a medieval tower that may have been part of the Vatican walls at the turn of the 13th century. In 1960, Blessed John XXIII invited his new archaeological research institute to have its base there. Father Lombardi said the building also was used for a time by Vatican Radio and was even briefly the residence of now-Cardinal Roberto Tucci, a Jesuit and longtime official at the radio.